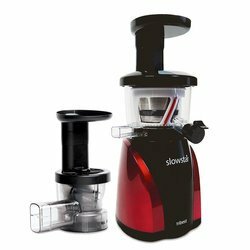 The Slowstar® Vertical Slow Juicer and Mincer has a low speed of 47 RPM with a 200 Watt motor and 3-stage speed reduction gears that produce the equivalent amount of torque as a 9 HP motor. The Duoblade™ Double-Edged Auger creates a double cut, doing twice as much work compared to a traditional auger. 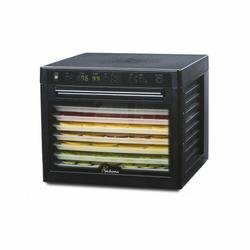 The low speed preserves the freshness and quality of your juice due to friction and heat. 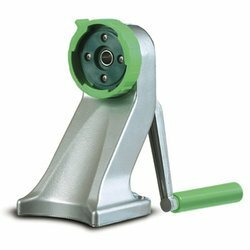 Not only can you juice with the Slowstar®, you can turn it into a multi-purpose tool, just replace the top of the machine with the Mincing Attachment to start mincing your ingredients to use in your favorite recipes. 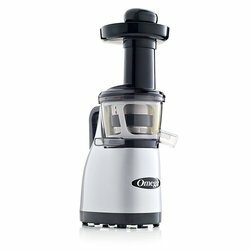 This is the same juicer as the Slowstar SW-2000-B, just a different color. 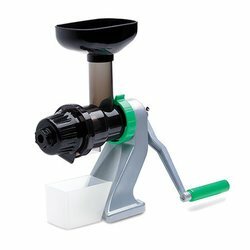 Tribest Slowstar SW-2020-B (Silver) Juicer/Mincer, Free Ground Shipping (Cont. US Only) has been added successfully to your wishlist.